HHS Deputy Secretary Hargan's calendars from October 2017-April 2018, including a time period from when he was Acting HHS Secretary. 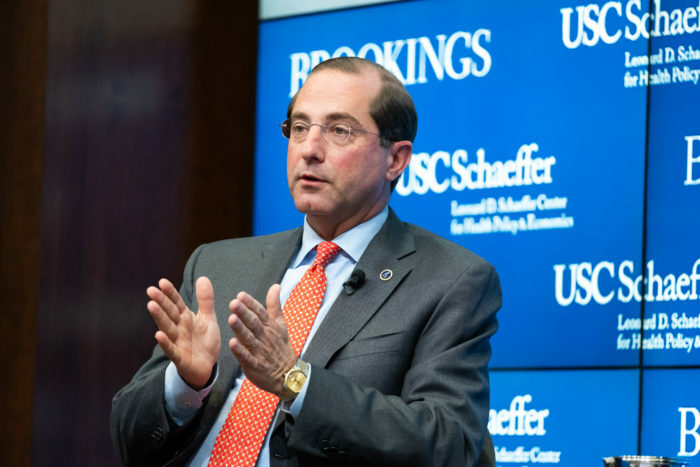 Health and Human Services Secretary Alex Azar's calendars from his first three months in office, January 29, 2018 through April 30, 2018. Lawsuit filed by American Oversight seeking calendars for senior political appointees at Commerce, Education, EPA, DOE, DHS, Interior, Labor, DOT, HHS, HUD, SBA, State, Treasury, and USDA. FOIA to HHS for calendars for Secretary Kathleen Sebelius, Deputy Secretary to Secretary Sebelius, Sally Howard, and Dawn O’Connell.